Download this comprehensive checklist and unlock the strategies, best practices, and tools you need to inspire supporters to donate, fundraise, or take action online. Whether you’re a seasoned digital expert looking for the latest tips or an 'old-school' nonprofit professional looking to modernize your organization, our Digital Fundraising Checklist will help you infuse web, mobile, and social into your supporter growth and retention initiatives. 50 online engagement best practices to build authentic constituent relationships. 25 free resources that will make you an online engagement ninja. 11 online marketing, fundraising, and advocacy blogs every nonprofit should follow. 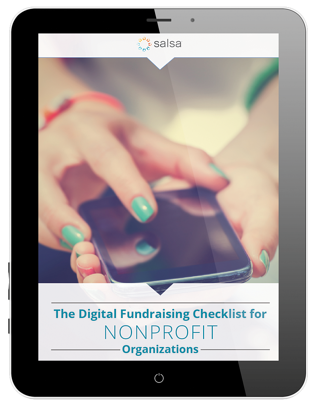 Download Your Digital Fundraising Checklist!